We are engaged in fabricating comprehensive range of Rubber Oil Seals which is extensively used in pumps, automobiles, railways and allied industries. These Rubber Oil Seals are encapsulated by metal from inside and outside and feature a double lip. 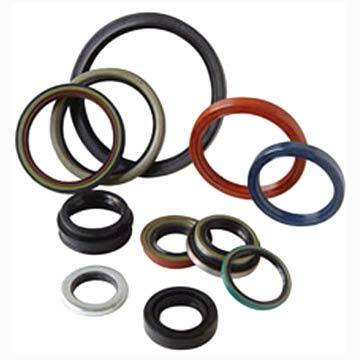 We offer excellent quality Rubber Oil Seals in Nitrile, Neoprene, Silicon, Viton, and EPDM finishes.